These Airplanes were left in the hanger and the Airport is selling them for storage fees. EVERYTHING IS SOLD AS IS WHERE IS WITH NO WARRANTY EXPRESSED OR IMPLIED! NEITHER ATKINSON REALTY and AUCTION, INC. NOR THE SELLERS GURANTEES THE USEABILITY, ACCURACY OR DESCRIPTION OF ANY ITEM IN THIS AUCTION. PLEASE INSPECT EACH ITEM BEFORE YOU BID. CONDITONS: The Auctioneer's decision is final in the event of a dispute over any matter. The auctioneer reserves the right to accept bids in any increments he deems is in the best interest of his client, and reserves the right to waive any previously announced requirements. All announcements from the auction block supersede any printed material or any other statements made previously. The purchaser must rely on his or her own information, inspection, record and determination to bid. SPECIAL NOTE: You are urged to inspect the property before the auction. The information contained herein is subject to inspection and verification by all parties relying on it. The Seller or its Agents assume no liability of the accuracy, errors or omissions. THERE IS NO TITLE, NO REGISTRATION AND NO LOG BOOKS.YOU WILL RECEIVE A SALES RECEIPT ONLY IF YOU ARE THE SUCCESSFUL BIDDER. Items in This Auction are used and may contain defects that are not immediately detectable. Text description given is meant to be used as a guide only. You are responsible for inspecting item before bidding. All information provided is believed to be correct but NO warranty as such is either intended or implied. All items are sold AS IS - WHERE IS AND WITH ALL FAULTS AND DEFECTS THEREIN. PLEASE NOTE: YOU WILL HAVE TO GO THROUGH SECURITY WHEN ENTERING THE BUILDING. You must be prepared to pickup and load out your items. Neither the Seller or Auction company will provide any load out help. NOTE: NO SHIPPING SERVICE IS AVAILABLE. IF YOU NEED PICKUP AND or SHIPPING SERVICE "YOU MUST ARRANGE FOR A 3RD PARTY TO PACK, LOAD AND SHIP YOUR ITEMS". NOTE: You must bring "A PRINTED COPY OF YOUR PAID IN FULL INVOICE" (No Exceptions) before your items will be released for Pickup. NO PAYMENTS CAN BE MADE AT THE AUCTION SITE! 4-You are ready to place your bid. STAGGERED ENDING: This auction has a staggered ending and will start closing at the rate of 1 item every minute, with the 1st item at 4:00pm the 2nd item at 4:01 pm etc. It will place your bids for you in the bidding increment only, It will not place the Maximum amount of your bid. You will be notified via your email if you have been out bid. This Auction provides the option to place a Proxy or Maximum bid on the item(s) You are bidding on. It will only bid for you in the increments set for each auction. Click on Increments at the bottom of the page. You will be notified via email if you have been out bid.  This Auction features an automatic bidding extension system which grants a (3) minute extension of any item receiving a bid during the last five (5) Minutes. If no more bids are received within the extended period the item will than close. All items are sold as is where is without warranty of any kind.